One of my favourite times of year is upon us: Spring. There is nothing like that first sight of light where there was dark, warmth where there was cold and vibrant colour where there was dull. Often at the first signs of spring many of us go through our closets, put away the wooly sweaters and furry boots and switch our closets over to lighter and breezier garments just waiting to be worn on the first warm day. I was thinking that I would apply this concept to my phone and put away some of my “heavier” winter apps, like Virtual Candle and Talking Santa to make way for some fun, breezy spring-time apps! Here are some apps to help get your smartphone in the mood for spring! Though warmer weather is typically associated with spring, sometimes that temperature can be all over the place and it is so hard to know what to wear! 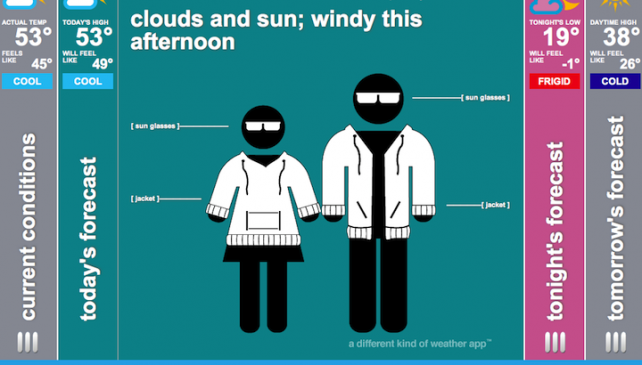 Swackett is not just your typical weather app, sure it shows you the current weather, forecast and even gives you radar view. The real fun and practicality comes from the “peeps” in this app. Peeps are little people that dress up in the clothing that you should be wearing for the weather. They show a male and female version and also a dog and cat version to ensure your furry friends are dressed appropriately for the weather too! I have an Android phone and it also gave me an option to dress up the little Android man with weather-appropriate duds. The app also surprises you and gives you fun facts: “There are 57 variety of tomatoes”….. not sure how useful this is, but at least we are learning people! If you are the helpful type, you can even share your “peep” with your social networks so your friends will also know what to wear for the weather. Nothing says spring like a fresh spring salad from your local farmer’s market. If you are lucky though, you may have space to plant your very own garden and for that you may find the Vegetable Planting Calendar app useful. 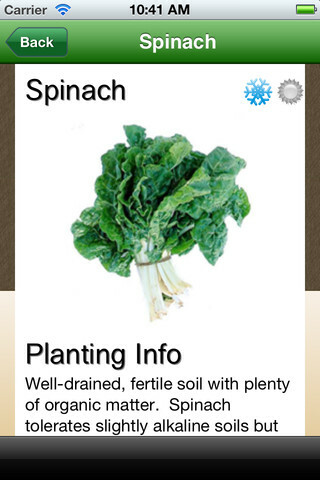 Now the app doesn’t have the coolest user interface, but it does however have very useful information for you Green Thumbs out there (or aspiring Green Thumbs!). The app gives you a big list of vegetables and then tells you when the perfect time to plant is. There are also little “hard frost”, “light frost”, and “high temperature” symbols that let you know what the plant can handle in terms of cold to hot temperatures. 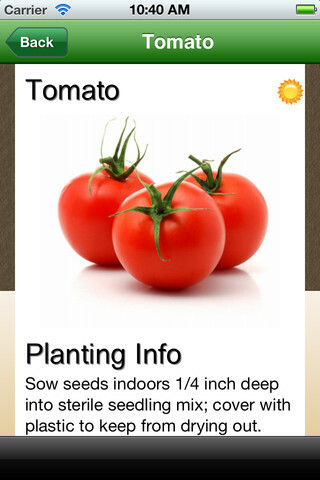 The app also gives you little handy tips about little particulars that certain plants may need such as the pH of the water, best types of soil to use and how far you should plant the seed in the soil. Here’s hoping for garden-fresh salads in your future! Often one word associated with the word “spring” is the word “cleaning”, while some of us may cringe at the thought of all of that back-breaking work, others may take it as an opportunity to dust off dull winter and welcome the spring shine! 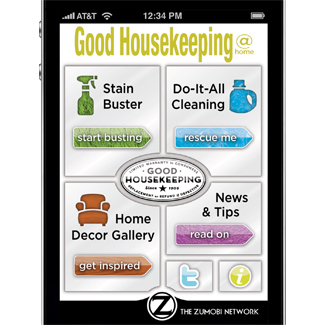 One app I found that I really like is the Good Housekeeping @ Home app. This app gives you 4 useful categories to choose from: Stain Buster- to help you solve hard stain problems, Do-It-All Cleaning that gives you handy tips for everyday cleaning, Home Décor Gallery gives you fresh ideas for every room in your house, and News & Tips shares helpful tips like “11 ways to use your dishwasher”, “Clothing care myths” and much more. This app will come in handy when busting through the winter grime and I am personally looking forward to further browsing their Home Décor Gallery for some fresh spring ideas!